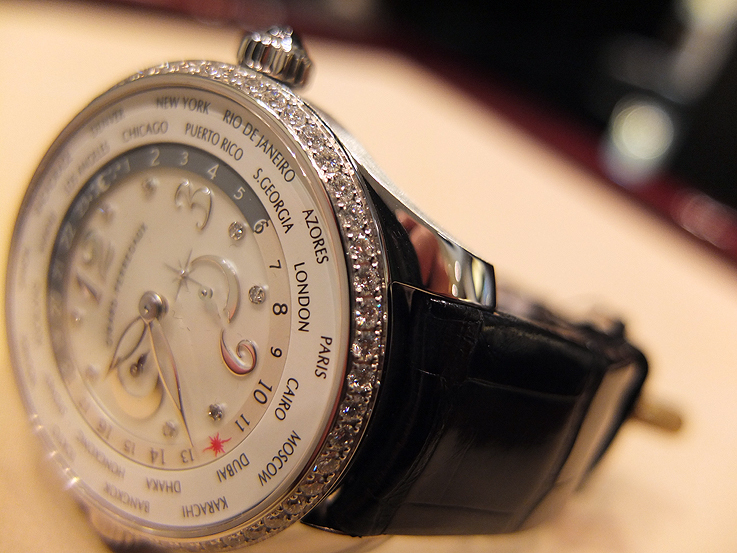 For most watch brands it is still a struggle to create high end watches for contemporary ladies. 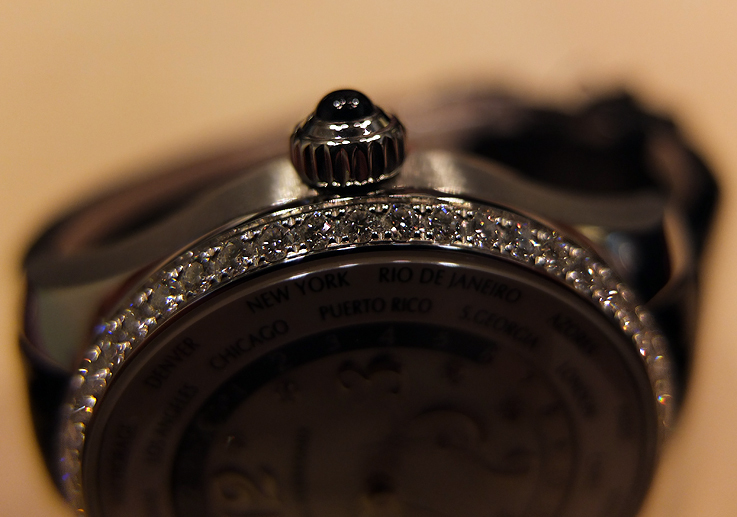 Smaller watches, often set with obligatory diamonds for a so called extra feminine touch, and of course a “handy, because you never have to wind it”-quartz-movement make up the majority of what many brands offer ladies these days. No wonder that when a lady wants a robust, mechanical timepiece to accompany her on her day to day life, she often resorts to men’s watches. Despite the fact that a Submariner, Luminor or Master Compressor looks amazing on a lady’s wrist, this still is the result of the contrast it brings out, rather than amplifying elegance. 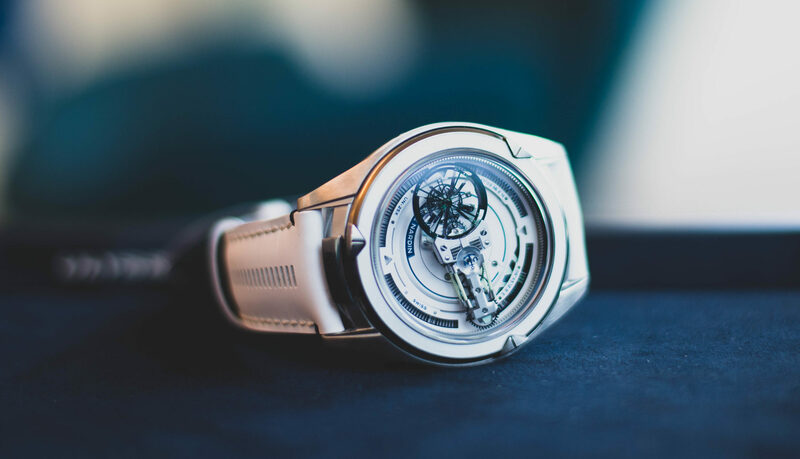 Although it seems there should be a happy medium between the small, diamond set quartz watches and robust, mechanical sport watches, it seems that it has turned into a vacuum. 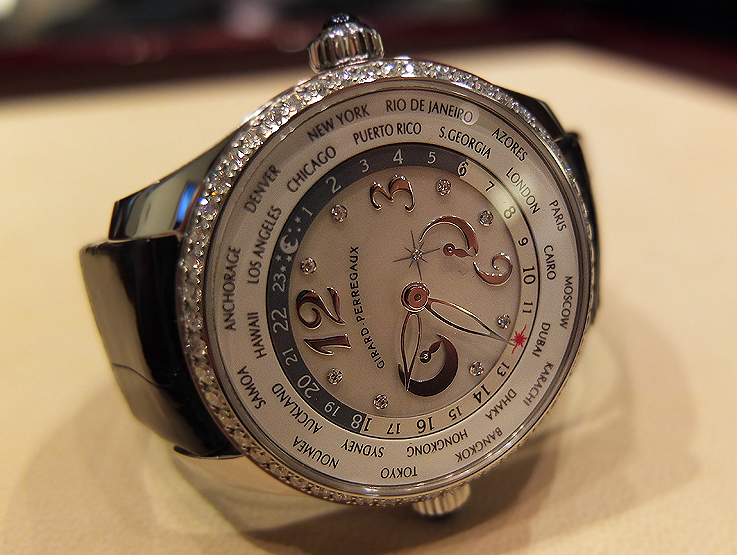 But not for Girard Perregaux, which has created a feminine version of their famed WW.TC world time watch that seems to offer everything a ladies high end watch should. Girard Perregaux accomplished this by rethinking the design of the WW.TC from a feminine point of view, utilizing the current strengths of the design. For this they opted for the WW.TC version with the sub seconds power reserve complication, now displayed on a mother-of-pearl dial. Although the numerals and hands are far more elegant than on its masculine counterpart, Girard Perregaux didn’t go overboard. Same can be said of the crowns. Girard Perregaux maintained a easy to use crown yet now set with an onyx cabochon, adding just that little detail that makes the difference. Girard Perregaux went for functional elegance. With a diameter of 41mm it might be judged as large for a ladies’ watch, but given the amount of information it displays, the larger size enabled Girard Perregaux to display it in such a way that it is also easy readable. A feature vital for the practical enjoyment of the timepiece. 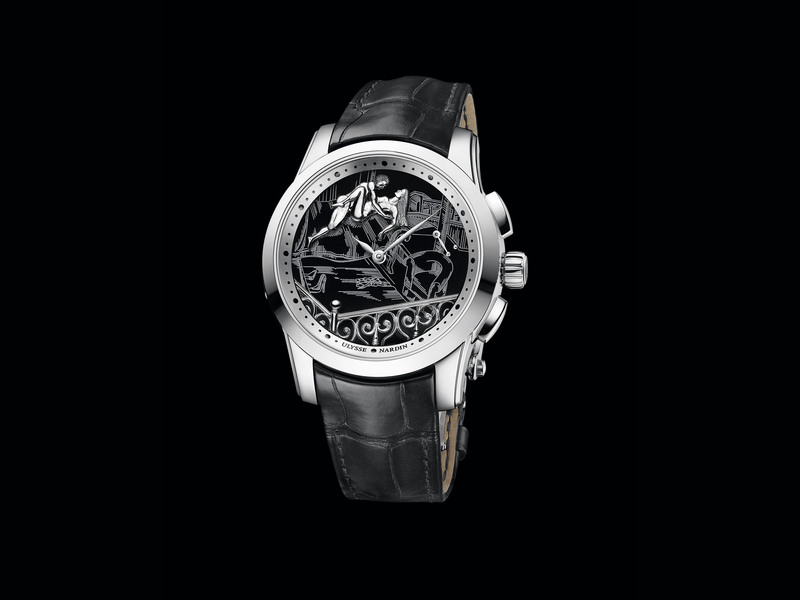 Practical is also the fact that Girard Perregaux offers this watch in steel. Of course a gold cased version is also available, but steel has its advantages when on the move. It’s harder than its precious metal counterpart, so perfect for a more active lifestyle. That Girard Perregaux deems it just as noble as gold is proven by the fact that they set it with a diamond bezel, with a total carat weight of 1.95 carats. 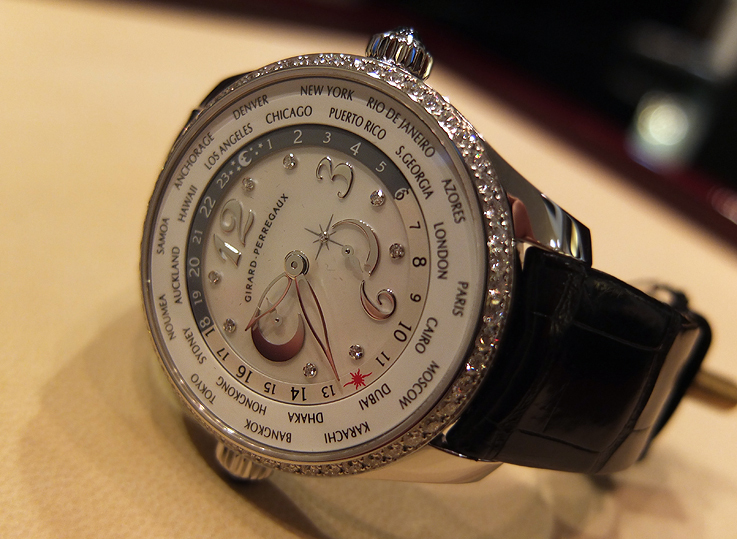 Almost a rarity since not many Haute Horlogerie brands have diamond set steel watches in their collection. Functional is of course also the complication for which the WW.TC is a benchmark; world time. For the WW.TC Lady they completely retained this functional complication. They also kept the same movement Girard Perregaux’s manufacture movement, designated as GP 033G0. Expect the highest quality of this automatic movement, with Geneva striping and beveled edges, and enjoy a view on it through the sapphire case back. Perhaps this is also what set the watch apart from all those other ladies watches; functional, well build elegance that acknowledges that todays world is a woman’s playground. Special thanks to Ginotti, The Watch Store, for providing the watch used in this article.